Many of the excesses and abuses attributed to the CIA–from counter-insurgency in Vietnam to counter-terrorism in Pakistan–are set in motion by a single, deadly document: an executive order called a ‘presidential finding’. This strange piece of paper, which usually bears the signature of the Commander-in-Chief, is responsible for setting in motion the ‘extrajudicial’ activity that generates so much controversy today. And as I argued in a previous post on the ‘Bureaucratic Present‘, these executive orders represent the dark side of modern governmental bureaucracy. The Congressional Research Service published a 2008 report called ‘Presidential Directives: Background and Overview’. This is a very dry report, but importantly, presents a blueprint for the origins and scope of a largely unchecked form of executive power–one that has its origins in the British monarchy. It has some constitutional foundation; for example, Article II, Section 1 of the Constitution, grants the president ‘executive power’ (whatever that means), and Section 3 states that ‘he shall take Care that the Laws be faithfully executed’. To implement or execute the laws of the land, Presidents give direction and guidance to Executive Branch agencies and departments, often in the form of executive orders. Modern executive orders – of which there are all kinds – have their roots in the proclamations and directives from President George Washington. On October 3, 1789, the first ever U.S. President proclaimed that Thursday, November 26 would be “a day of public thanksgiving”. 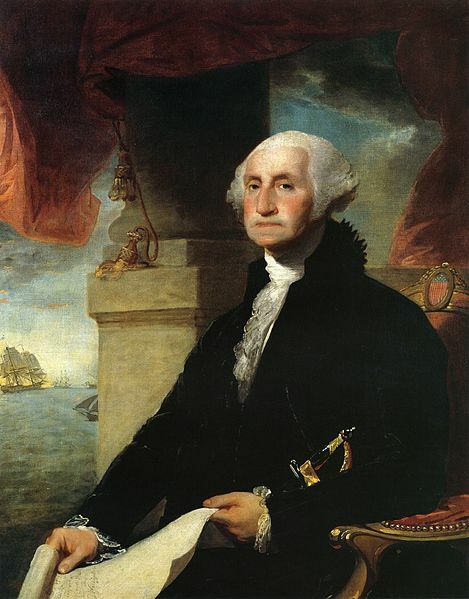 Prior to that, on June 8, 1789, President Washington sent a communique ordering the officers of the Confederation government “to impress me with a full, precise, and distinct general idea of the affairs of the United States” handled by each official. This communique was the forerunner to the modern executive order. During the latter half of the 19th century these documents became numbered and officials named as ‘executive orders’. Proclamations and executive orders have since been published in the Federal Register and Code of Federal Regulations (CFR). Others are veiled in secrecy, as with presidential findings. As for the role of Congress, it is able to influence the existence of a federal agency established by an executive order (one of the most recent and high-profile was of course the Department of Homeland Security in 2001) through the appropriation of funds. It also established the Federal Register in 1935 that mandates all presidential proclamations and executive orders to be published, with some exceptions. Most executive orders are pretty banal – the White House lists them here and also lists Obama’s proclamations here. Others are far more controversial. President Roosevelt issued executive order 9066 on February 19, 1942 to require the internment of American citizens of Japanese descent. Other presidential directives include ‘Military Orders’. A type of executive order, the military order, which bears the signature of ‘Commander-in-Chief”, is a rarely used presidential directive. The last time it was used was in November 2001 when President George W. Bush issued a controversial military order on the detention, treatment, and trial, by military tribunals, of non-citizens alleged to be terrorists. 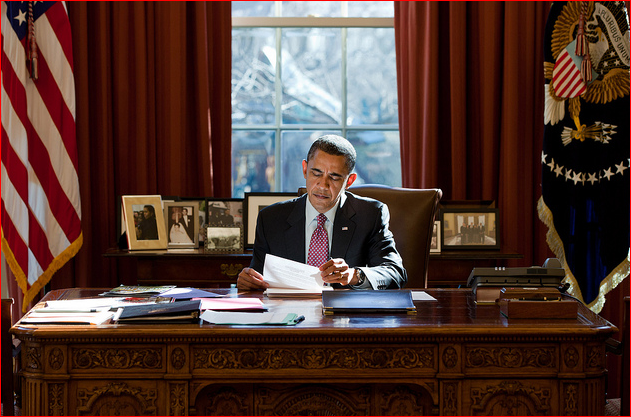 The first executive order Obama signed was to close Guantanamo Bay in January 2009. In 1974 the ‘presidential finding’ took on its popular, secretive meaning when Congress adopted the ‘Hughes-Ryan’ amendment to the Foreign Assistance Act of that year. Set out in section 662 of the statute, it prohibited the appropriation of funds by or on the behalf of the CIA for intelligence activities “unless and until the president finds that each such operation is important to the national security of the United States and reports, in a timely fashion, a description and scope of such operation to the appropriate committees of Congress”. This was further codified in the Intelligence Authorization Act, Fiscal Year 1991. This act similarly mandates that the classified document is reported “before the initiation of the covert action authorized by the finding”. This mean that presidential findings are not to be fund archived in the Federal Register or CFR (Title 3). Memoranda of Notification (MON) are used to extend a past presidential finding. In effect, then, the executive branch can directly order a covert activity–one that may be in contravention to a raft of international laws, such as the CIA’s drone strikes in Pakistan–without an ounce of public transparency or accountability What’s more, the presidential finding is usually broadly written, meaning that Congressional oversight under Title 50 requirements is in fact more limited than the reporting would suggest. Following recommendations from the Church committee, Executive Order 11905, signed by President Gerald Ford in 1976, specifically prohibited the intelligence community from assassination plots. Carter renewed the ban with EO 12306 and so did Reagan in 1981 with Executive Order 12333. The latter defines the scope of covert activities. In 1986 Reagan signed a presidential finding to support the Nicaraguan opposition against the Sandinistas. Reagan also issued a raft of issues for the CIA’s war in Afghanistan. The CIA’s operation in Afghanistan escalated in 1985 after National Security Decision Directive 166 (NSDDs are a type of presidential directive), which would allow teams to enter Afghanistan directly, and lead to enormous budgets for secret operations. A ‘Counterterrorist Center’, located within the CIA’s Directorate of Operations was also born on February 1986 to combat terrorism, and accompanied by another piece of legislation: National Security Decision Directive 207, which gave the CIA even more power to undertake secret operations to pre-empt and detect terrorist activity. On January 23, 1995, President William Clinton signed Executive Order 12947 that approved the creation of list of specific terrorists the U.S. was able to target. CLinton was at this time attempting to kill or capture Osama bin Laden. In 2001, Bush signed an expansive MON to enable the CIA to embed with Northern Alliance fighters to help overthrow the Taliban in Afghanistan. Also in the Fall of 2001, the Washington Post reported that Bush signed a presidential finding permitting the targeting of Osama Bin Laden and other key leaders. The 9/11 Commission reported that on Oct. 25, 2001, National Security Presidential Directive No. 9 was signed by President Bush called ‘Defeating the Terrorist Threat to the United States’. It widened the war beyond al-Qaeda and the states that had harboured it. This undoubtedly ended the U.S.’s policy of strictly forbidding assassination. The presidential finding / MON that allows the CIA to strike targets in Pakistan (and Yemen, and Somalia). This probably dates back to the October 2001 finding signed by Bush. The presidential finding /MON that allows the CIA to disrupt Iran’s nuclear enrichment program. This stems back to Bush’s finding in 2007, which was resigned by Obama in 2009. A new finding allows the U.S. to support insurgencies on the Iranian border. The 2011 presidential finding that allows the CIA to support U.S. policy in Libya. What is concerning is that although the CIA must report its covert activity to Congress pursuant to the Hughes-Ryan amendment to the 1974 Foreign Assistance Act, the power of Congress to actually halt such activity is minimal. Congress is able to set the funding for federal agencies, but it does not have the legislative capacity to end a specific instance of covert action. Of course, in theory the president cannot an issue an unconstitutional order nor can he make a ‘law’. But even if this is challenged by a motion in Congress, the president retains the power to veto it unless there is a 2/3 majority to override him, which is unlikely. The first time an executive order was challenged was in 1952 when Harry Truman tried to place the nation’s steel mills under government control to settle a labour dispute. This was struck down by the Supreme Court (which is usually quiet on executive orders). All of this means that Congressional power over an executive order – whether public or secret – is extremely limited. In summary then, an executive order is a presidential directive that is either symbolic – as with a proclamation such as ‘Today is National Take Your Child to Work Day’, or it is an order with the direct force of law. For the latter, presidential findings (as well as other classified security directives) are used to bypass public, if not entirely congressional accountability. In essence, executive orders are a monarchical power: the president gets what the president wants in all but the rarest of cases. With the drone wars in Pakistan, Yemen, and Somalia set in motion by a 2001 presidential finding and resigned by a memorandum of notification, a very deadly document has granted an entire bureaucracy, the CIA, the power to manage life and death outside of military (or Title 10) oversight (despite both Title 10 and Title 50 falling under the remit of the Secretary of Defense) and outside of direct congressional authority. The executive order has its roots in the proclamation of thanksgiving Washington gave back in 1789. Centuries later, it remains a threat to U.S. democracy, human rights law, and international humanitarian law. It is a deadly document. This entry was posted in History of Drones, White House Politics and tagged CIA, Congress, constitution, Executive Order, Law and Lawfare, military, Obama, Thanksgiving, U.S., War on Terror, Washington. Bookmark the permalink.